Today we have several interesting news about Call of Duty: Ghosts game - an upcoming shooter from Activision. 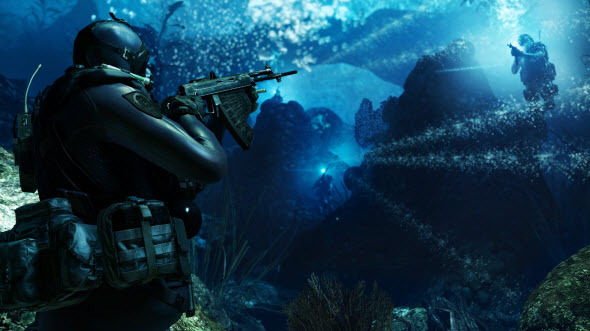 The developers have confirmed an information about the multiplayer servers, and also new details about Call of Duty: Ghosts system requirements and co-op mode have been leaked. Mark Rubin - the executive producer of the upcoming shooter - has confirmed that the dedicated servers will be used for the game's multiplayer mode. A dedicated server hosting is a type of service, which is used entirely by one client and can't be shared with other clients. It provides lower ping and the minimal amount of lags that is really cool for online gamers. 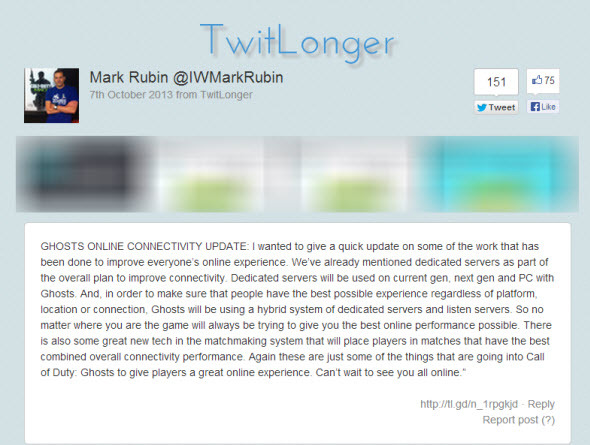 Moreover, the dedicated servers will be used for all platforms - PC, current and next generations of consoles. Also Exophase has published the new Call of Duty: Ghosts achievements, and among them there are "Complete all Extinction challenges and escape", “Escape 1st time", "Escape with all four players". These tasks seem to be connected to the survival cooperative mode, which will be called Extinction and most likely will be the next version of the Zombie mode. Internet: for activation and multiplayer mode.